Although a healthy fruit for humans, avocados contain a fungicidal toxin, known as persin, which can potentially upset your dog’s stomach and result in problems like constipation and diarrhea. More than that, it’s the big stone-sized seed that poses more danger as it could easily be blocked in the gastrointestinal tract, which can only be removed with surgery. High fat-concentrated foods, like French fries or fried chicken, are extremely toxic for dogs as they cause harm to your dog’s intestines and result in pancreatic inflammation. If you suspect that Fido snuck into your box of fries, take him to the vet without the slightest delay. Pancreatitis can lead to extreme vomiting, and thus you need to seek urgent medical care. This is rather puzzling for vets who cannot put their finger on what exactly makes grapes so bad for dogs, but there is a strong link between consuming grapes and kidney failure. Grapes don’t just mean your regular grapes but also dried currants and raisins, which are even more harmful due to their concentrated nature. 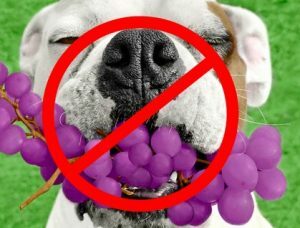 Also, if you have a young dog or one from a smaller breed, it will take only a few grapes to make him sick. If you suspect your dog has downed a grape, even one, observe symptoms of kidney failure, which include vomiting and diarrhea, lethargy, dehydration, weakness and low urine output, as per the American College of Veterinary Internal Medicine. Xylitol is a sweetener used in various products, like candy, toothpaste, gum and baked items. It can result in high insulin levels in most species, which in turn can make your dog’s blood sugar level to drop (also referred to as hypoglycemia) and lead to liver failure. Early symptoms include vomiting, lethargy, and coordination issues. The symptoms may intensify to seizures, and liver failure, which may be seen in a few days. Like us, dogs too shouldn’t eat too much salt. This is because foods high in sodium can actually cause sodium ion poisoning in dogs. Although a single potato chip or pretzel isn’t that big a deal, dogs are still known to sneak around in food areas where they shouldn’t. Always be on the lookout for symptoms, such as depression, diarrhea, extreme thirst, high fever, vomiting, seizures and kidney damage. If you feed Mr. Fluffy a salty snack, make sure you compensate the effect by keeping a bowl full of water by his side all the time. Pushing your dog away when he leans in for a snack can be heartbreaking, but by doing so, you are only ensuring his long-term health. 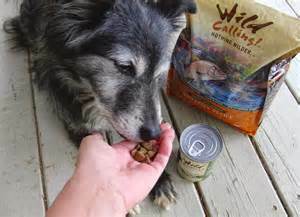 Besides, you can share a ton of other dog-friendly foods with him, including sweet potatoes, pumpkins, lean proteins such as chicken, turkey and beef, apples, yogurt, beans and green peas, salmon, peanut butter, cheese, and more.